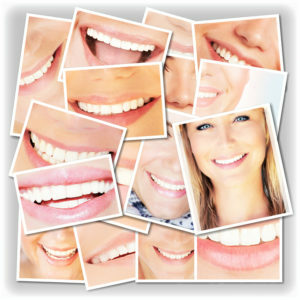 Your oral health affects how you look, eat, speak and function on a daily basis. It impacts your systemic health and self-image, too. Additionally, dental neglect leads to complicated and uncomfortable procedures that cost the family budget. So, invest in preventive dentistry with your dentist in Mesquite, Dr. Byron McKnight. What Keeps Your Mouth Healthy? At-home and in-office dental hygiene and examinations every six months support oral health from toddlerhood through the senior years, according to the American Dental Association (ADA). Family dentist in Mesquite, Dr. Byron McKnight, concurs. With regular dental care, teeth and gums thrive, and problems are discovered at their earliest stages. Additionally, through oral hygiene practices at home, gum disease, cavities and other common oral health issues, drop dramatically. In other words, toothbrushing twice a day and flossing daily, eating a low-carb diet, drinking plenty of water and protecting against oral injury partner with dental care with Dr. McKnight and his team. How you smile affects your self-image and how you project your personality. Sociological research shows that individuals with straighter, whiter smiles create better first impressions and get higher paying jobs. In fact, the American Academy of Cosmetic Dentistry says that more than 50 percent of people surveyed said they notice someone’s smile before they notice anything else. Tooth replacement options such as fixed bridgework, dentures and dental implants are boons to people who have suffered tooth loss. However, dentists would rather prevent the need for restorative work. Gum disease is linked to systemic health issues such as heart attack, stroke, high blood pressure, rheumatoid arthritis, Alzheimer’s Disease, and more. Dr. McKnight and his team routinely remove the harmful plaque and tartar your brush and floss miss at home. They also check for gum pocket depth, do scaling and root planing and instill antibiotics to heal infected gums. If you were in the early stages of oral cancer, wouldn’t you like to know? Your family dentist Mesquite checks for this common condition with every routine examination. He also checks for unhealthy sleep apnea and bruxism (teeth grinding) and offers customized oral appliance therapy for both conditions. For the youngest of patients, plastic sealants guard against cavities. When you see Dr. McKnight and his team, you can also enjoy amenities such as massage and aromatherapy to make your semi-annual visits very enjoyable and relaxed. If you have not been to the office in a while, please contact Dr. McKnight for an appointment today!